In which way can you see the hierarchy? Organizational tree is a depiction of company's structure. * Note that the users who are blocked, deleted or do not have direct manager will not be displayed! 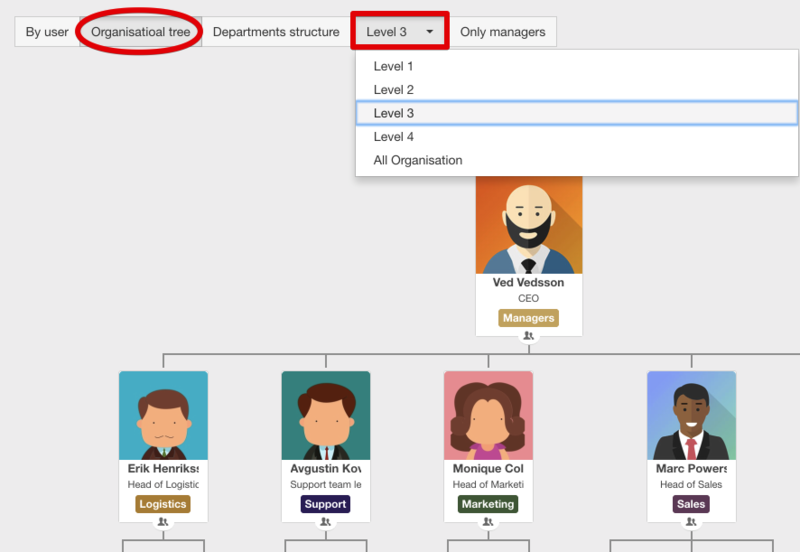 If you click Only managers you will only see those users who have their own direct subordinates. 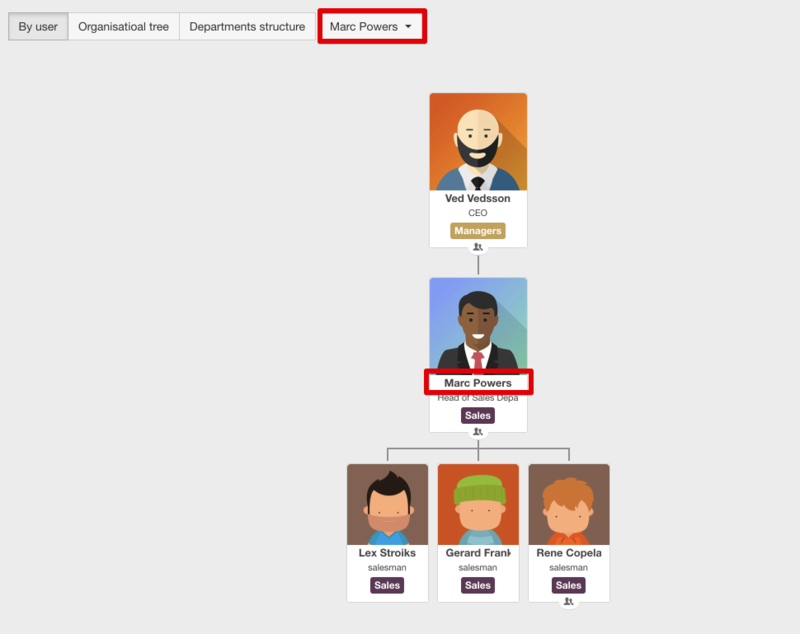 Using green arrows you can expand different levels of the departments you are interested in. Or choose some specific department from the list and see it's structure completely.